A team of teenagers interested in biotechnology is working on turning mosquitos into “flying syringes” to deliver vaccines to humans. The students are working in part with Provita Pharmaceuticals, a “virtual company” and school project created by students and instructors at Bergen County Academies as a vehicle to provide a hands-on, real world experience for those interested in scientific research and marketing. As part of their project, the students have already presented their research to the U.S. Food and Drug Administration. 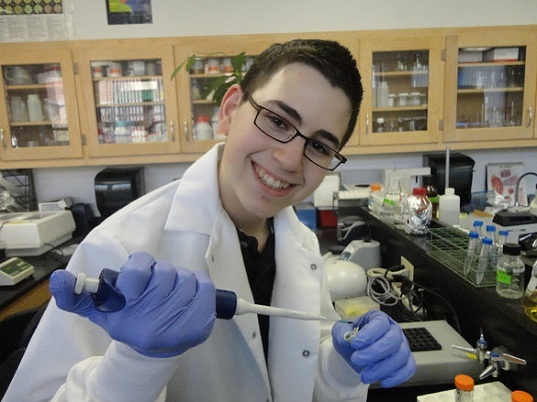 Team leader, sixteen-year old Joshua Meier, was a finalist in the 2012 Google Science Fair and a student at the Bergen County Academies. After collaborating with several other kids interested in biotechnology and business, Meier began work on a business plan to support their research. The first goal of the flying syringe project is to bioengineer mosquitoes to deliver vaccinations against the West Nile Virus — the idea builds upon existing research conducted worldwide over the last 5 years. Most of the students’ research is carried out on the Bergen County Academies high school campus and is owned and paid for by the school. 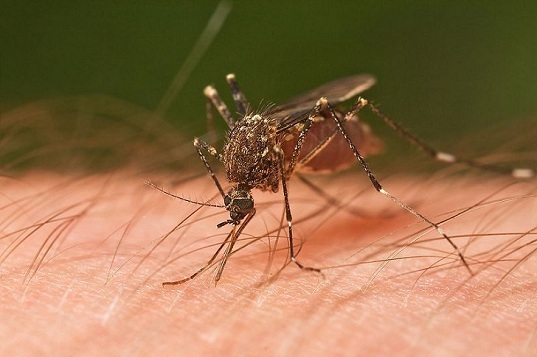 “We can’t really culture mosquitoes in the lab at our high school because that’s dangerous, but we a have research adviser and ideas planned out, and the next step is making a partnership, contacting other places that do have animal facilities,” said Meier. Their project has also caught the attention of the Memorial Sloan Kettering Cancer Center in New York, which has expressed its interest in helping with future development of the firm. Moreover, at their presentation with the FDA, representatives offered them information concerning research protocols, testing, and marketing requirements to assist with their efforts. The team’s first project called Coagula aims to help people with hemophilia and von Willebrand disease by enabling patients to take fewer treatments for their conditions, while reducing the possibility of infections. Coagula is still under development, Meier said. This is some of the biggest BS I\'ve heard yet. SERIOUSLY?!? 1. I have the right to decide what to be inoculated against, 2. If this can be used for a vaccine, why couldn\'t it be used for chemical/biological warfare....What an absolutely idiotic idea!!! Honestly, this is the worst idea I've ever heard of. The most obvious and egregious point of contention, is of course, the lack of legitimate proof of the efficacy and safety of current vaccines. However, a second, and perhaps more chilling thought, is the potential for mutation and spread of disease. Leave biology and crop science to nature. This is terrifying for someone that doesn't wholly believe in vaccines for everything. Now it's not even my choice? A team of teenagers interested in biotechnology is working on turning mosquitos into "flying syringes” to deliver vaccines to humans. The students are working in part with Provita Pharmaceuticals, a “virtual company" and school project created by students and instructors at Bergen County Academies as a vehicle to provide a hands-on, real world experience for those interested in scientific research and marketing. As part of their project, the students have already presented their research to the U.S. Food and Drug Administration.